Today in class, we explored the characters of Gladys, Mike, and Poppy. We discussed whether these characters feel confident, and whether or not they are able to show others who they truly are. Each character feels fear in certain relationships--and we wondered what it will take for these characters to show their true (intrinsic!) nature. Our word for the day from today was INTRINSIC, which is an adjective meaning inner; belonging to the essential nature; deeply natural. Here is an example of the word in a sentence: Mike's intrinsic sense of self is all about using his hands and his heart to create, but his father doesn't (yet) recognize this. Over the weekend, we are reading Chapter 20 in The Absolute Value of Mike. After reading, share your reflection, below, about this question: What do you think inspires people more: intrinsic or extrinsic motivation? Why? Have an awesome evening and a wonderful weekend! Today we acted out Chapter 19 from The Absolute Value of Mike. We explored big themes like: what does it mean to rescue someone from a bad decision? Can others be truly rescued, or do they need to learn certain things on their own, when they are ready? How do we truly help others see their worth? Today, the ragtag MOO-TEAM arrives at Big Dawg's and tries to help Gladys escape from the clutches of NUMNUT, only to be refused by the bouncer at the door. However, Moo is undaunted. Eventually, Past finds his way in, and we are left with a cliffhanger as we wait to see what Gladys will decide. Our word for the day was SAUNTER, which means to walk lazily along; to stroll. An example with our word in a line is this: When exploring the woods, I prefer to saunter so that I can soak in all the colors. Our word for the day from yesterday was OUTLIER, which means a value outside the normal set of data or a person far from average. Here is an example of the word in a line: Moo acts as an outlier in every single one of her interractions with other characters in the novel. Today, you explored Mike and his dad's relationship from The Absolute Value of Mike. You each wrote a scene--in true theater format--that envisioned what a meeting of Mike and his did would be like at this point in the novel. Your scenes have been creative, funny, heartbreaking, sad, redemptive, and joyful. You used all of our words for the week within your creative scenes, and you began acting out your scenes in pairs today. Tomorrow, we will finish performing our scenes. Our word for the day was EPIPHANY, which is a noun. An EPIPHANY is a sudden insight, a moment of tremendous clarity, or a great awakening of the mind. We don;t use the word epiphany for any small growth or understanding--but it is used for something truly life-changing. I shared with you all my own epiphany about what it means to succeed--but this epiphany did not occur until college! Here's my example with the word in context: When I was a senior in college, I had an epiphany: success meant far more than obtaining great grades and winning sports' games. Success was about the kind of relationships I formed and the kindness and boldness with which I tried to live life. For tonight, be sure to read Chapter 18 in the Absolute Value of Mike. Have an awesome evening--get outside and enjoy some of this warmth and sunshine! Today, we explored Chapter 17 in The Absolute Value of Mike. We talked about the weight of grief (as in Poppy's case) and how humans are all connected in that we each struggled to carry different kinds of burdens. But Mike shows us that friendship and community can make those burdens easier to carry. In light of today's chapter, our vocabulary quiz tomorrow will be highly interractive, and you will need to depend on each other to complete the mission. Come ready to get out of your seats and MOVE! Our five words for the week are: Redemption, Attribute, Segue, Hyperbole, and Unanimous. Scroll down through the previous blogs for definitions and examples of the words. Also, look through our class activities and discussions to help prepare. Have a wonderful evening, and get outside and be active today! Today, we explored the question, WHAT IS SUCCESS? You all wrote for a quick two minutes about what you think success is, and then we did a word splash (waves! water! words!) on the board as we shared our ideas about success. IN the novel The Absolute Value of Mike, we have explored how Mike's father views success for him, and we've talked about homelessness and stereotypes about the homeless in society. We also applied the iceberg theory to characters in the novel--and to ourselves--as we've thought about what it means to be authentic and real. Many of you shared definitions of success that connected to achievement, reaching a dream, or having what you want / desire. Here was our board--with all of your ideas in purple, and all of what you shared after a brief film clip and discussion in black and blue. We segued (remember our word of the day from yesterday?) into a brief clip from the 1992 400-Meter run at the Olympics in Barcelona, Spain. Something fascinating occurred at that Olympic race that revealed a different vision of success. We then explored success using a more complex idea of what it might mean, and we connected this to our novel, and to ourselves. Our word of the day was REDEMPTION, which means the process of winning or getting something back that was either lost or assumed gone. An example of our word in a sentence: By the end of the novel we hope that Mike and his father will find redemption in their relationship with one another. A Genius in Real Life? Today, you all handed in your second drafts of your creative short stories. Huzzah! I am so excited to dive back into these drafts, and to see the revisions that you've made. Now that we've gone through a round of revisions on grammar and form, the third drafts will focus on character and plot development. As Mike would say, Sweeeeeet! We also read Chapter 13 aloud together. Mike is fully engaged in trying to help raise the $40,000 to adopt Misha from Romania--but we are wondering if his plans will succeed. Our word for the day was attribute, which is both a VERB and a NOUN! As a noun, it simply means, qualities--as in this example: My wife has many attributes: she is kind, bold, courageous, and energetic. But as a VERB, it means to explain the cause of something--as in this example: Some people attribute feelings of boredom to watching too much television! After reading chapter 14 in The Absolute Value of Mike, share your insights, below, on this question: In Chapter 14, Mike replies to Past that his dad is not a genius " 'when it comes to real life,' " (p. 116). What do you think it means to be a genius in "real life" and not just according to math or any academic subject? Today, we explored the parents we see populating the pages of The Absolute Value of Mike. We explored and discussed Poppy, Moo, Mike's Dad (James), Mike's Mom, Karen, and Gladys's parents. 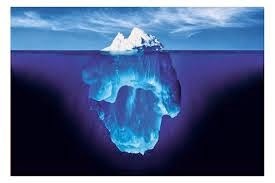 With each parent, we tried to think about the iceberg, and what might be going on beneath the surface and why these parents act the way they do. 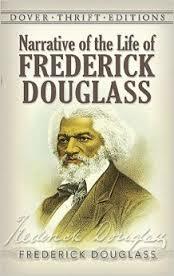 I really appreciated all your insightful comments--and how you used the text to support your ideas and inferences! We also did a Quick Write from the prompt, The best parent would... You wrote for six minutes without picking your pens up off the page, and we encouraged tangents and let our gooey, mushy brains take our hands wherever they wanted to go! Towards the end of class, in pairs, you each created a list of seven attributes you believed an ideal parent would possess. Then, we discussed how those apply (or do not apply) to the parents in Mike. Finally, we wondered as a class whether the ideal was even possible--or whether we all deal with the real, while we constantly grow and yearn for the ideal. Our word for the day was SEGUE, which means to make a smooth transition from one topic to another (verb). An example of the word in a line would be: Harold began by talking about honey and then segued into a discussion of why he loves bees. Have a great night, and remember that Draft # 2 of your short stories are due tomorrow. Be sure to staple the first draft on the back, and include the cover page (here's the link to how to do your cover page, in case you need a refresher). Today you all dove into an interactive vocabulary quiz, whereby you pretended to be one of the characters from The Absolute Value of Mike and wrote a letter to another character from the novel. You shared your writing with a partner, and then read the response your partner wrote. And you powerfully used our lovely words: boisterous, despondent, jovial, aspire, and mosaic. Over the weekend, we are reading through the end of Chapter 12 in The Absolute Value of Mike. Our word for the day, today, was hyperbole, which means an extreme exaggeration. An example would be: Authors love using hyperbole in their writing because it helps to poetically show character and scene. And, an example of hyperbole would be: Jehoshaphat ran faster than a locomotive in the one-million meter dash! Share your thoughts, below, regarding this question: In the novel, we see a lot of imperfect people all trying to love and be loved. After reading through Chapter 12, what would you say it means to love another person? What does authentic love look like? Today, we explored your first drafts of your short story project. You received your drafts back with what may feel like an enormous amount of comments and notes from me! However, do not worry! All good writers STILL receive tons of comments and revisions on their writing. Remember: All good writing involves loads of revision and hard work. It's a process that is riveting and fun--but also one that is all about perseverance. We explored the ways I've made comments on your papers, and here are two pictures of our boards today so you can be reminded of what we discussed in conjunction with your stories. Refer to your notes and these pictures to help as you work on your revisions. Remember that your second drafts are due next Wednesday, October 22. Include your first drafts stapled underneath your second drafts. Here is the link for the video on how to make your cover page for your second draft of your short story. Our word for the day was JOVIAL, which means cheerful, joyful, gleefully happy. I was jovial when I arrived in Room 340 this morning to teach! And, before signing off, here is a question to ponder and share about The Absolute Value of Mike: How are you similar to or different than Mike? Yes, No, Maybe So? And Powerful Lines! Today in class, we moved around the room as we explored how we respond to some controversial statements about themes in the novel, The Absolute Value of Mike. Last night, you each read Chapter 5 and created a web to share some of the key moments from the chapter. We discussed the iceberg as we explored what it means to be homeless. In the novel, we meet Past--a character who goes against many common stereotypes about homelessness. And we talked about how society often tries to put many types of people in boxes, whereas RELATIONSHIP and DIGGING UNDERNEATH THE SURFACE are so important! With Mike, we are surprised to see Past and how he has an "office," a cell phone, and an incredible ability to make things happen! As I shared various statements, you all moved around the room to a wall labeled YES or NO or MAYBE SO. Then, from our various locations we talked about why you made that choice. We also inferred what Mike and Pasts' relationship is going to be like, and I shared my own experiences about having meals and conversations with people who are homeless. Our word of the day was MOSAIC, which is a collection of small, colorful tiles brought together to make a work of art. It can also be a metaphor! As in this line: The students in Room 340 create a beautiful mosaic of energy and insight. Our word for the day from yesterday was DESPONDENT, which means utterly depressed and crushed. As in this line: Poppy is despondent in the novel because of the death of his son, Doug. Over this weekend, you are reading through the end of Chapter 7 in The Absolute Value of Mike. After reading, what is one of the most powerful lines (for you) from the chapter? Quote the line and then share with us why it was so powerful to you! Standing and Speaking to Create Synapses! Today, you each stood on your chair--one at a time--and spoke your line using one of our perspicacious vocabulary words. The connection between moving our bodies and helping things stick in our brains is so important! And you each spoke with confidence, clarity, and boldness. I loved watching you say your lines aloud, and hearing your voices fill Room 340. Thank you. After our standing and speaking study session, you took our vocabulary quiz, during which you explored connections to Mike and how Mike and Moo's relationship is going thus far in the novel. For tonight, be sure to read Chapter 3 and put your best inferences into the web I passed out in class. Here is a picture of the web in case a zombie devoured yours on the way home, or in case an undaunted yet ferocious puppy attacked you and demanded your web, or in case Spiderman said he was all out and asked if he could borrow yours. Our word for the day was ASPIRE, which means to work towards something high and great. I aspired to be an astronaut when I was five; when I was ten, I aspired to be a teacher. Now here I am, living my dream! Our quote for the day was from poet Walt Whitman: "Fill your paper with the breathings of your heart." I had a blast with you all today. We're into The Absolute Value of Mike, and we discussed how Mike so badly wants his Dad to love him as he is, and to be proud of him for who Mike really is, rather than who his dad wants him to be. Sometimes, characters (including ourselves) struggle with the expectations of other people, and right now, Mike is squarely in this situation. After creating a top-down web for MIKE'S JOURNEY, we began reading Chapter 2 in our reading pairs. You each paired up with a partner whom Mr. R lovingly chose, and you alternated reading aloud page-by-page. We encountered that hilarious scene in which Moo think Mike is asking for UNDERWEAR instead of DVDs! Here is the web we created for Mike's Journey. Our word for the day was SKEW, which is a verb. Skew means to turn away from; to veer off course. And example of a line would be: Whenever I take our tiny dog for a walk, she skews from the path any chance she gets in order to chase after squirrels. Tomorrow, we have a vocabulary quiz on the following five words: Inference, Recede, Flourish, Sputter, and Skew. As always, it will be a highly creative quiz! Look back through our blog posts for a refresher on the words, or to see them in example lines. Today, we began our first whole-class novel of the year: The Absolute Value of Mike by Kathryn Erskine. We explored the covers, made some predictions, and inferred what the symbols on the front cover may represent. We also talked about the tiny font on the Copyright page, and what some of the information represents (tiny numbers! book printings!). Then, we dove into a read-aloud for the first chapter to see Mike and his Dad and their relationship. Our word for the day was Sputter, which means to spit out food, or to stutter or speak haltingly (usually with some emotion involved). The homework is to study for our Vocabulary quiz on Wednesday. Have an awesome evening! Over the past two days, we have explored symbolism in a deeper way. Authors use symbols as a way to portray powerful ideas through objects, events, and actions. Yesterday, you each used word associations and emotions to map out what comes to mind when you saw various images--from the American flag to an apple to a gun to a rainbow. Each of these images brought up many similar emotions and associations among you all, however we saw key differences and unique connections as well. Symbols can mean different things to different viewers and readers, and authors work hard to craft symbols that help to support and enhance both the impact and the interest of their stories. In your second drafts of your short stories, you can try to do the same! We explored the short story "There Will Come Soft Rains" by Ray Bradbury and applied what we've learned about symbolism. Our word for the day yesterday was recede, which means to decrease, or to move away. When my brothers and I build sand castles on the beach, we wait for the water to recede before we start. Our word for the day from today was flourish, which means to grow well, or to thrive. This year, I hope you each flourish as writers in Rm. 340! Remember to continue reading 10 pages or more in your independent reading books each evening, AND ENJOY YOUR BOOK. I hope to get your first drafts of your short stories back your way next week with loads of lovely and riveting revisions so that you can dive in to draft number two! Remember that good writing is like good living: it takes lots of learning and revision along the way. Three cheers for revision! 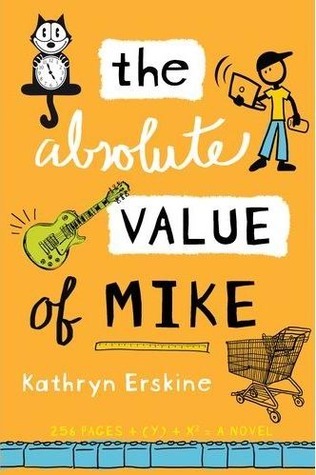 And next Monday, we will all start our first class novel, The Absolute Value of Mike, by Kathryn Erskine. Today, we dove into our fourth Vocabulary mission, where you each shared with me where you think you'll be twenty years from now. You used our five fabulous vocabulary words in your writing, and I am looking forward to reading! We also read the great short story "Thank You Ma'am" by author Langston Hughes, and we watched two people from each class bring Mrs. Luella Bates Washington Jones and Roger to life. We discussed that powerful and climactic moment when kindness changes Roger's vision and decision. Our word for the day was inference, which means a guess based on evidence. It was great to see all of you again after the weekend! Today, you all handed in your first big writing project of the year--your original short stories. As we discussed in class, these first drafts will come back to you with many comments, notes, and revision ideas, but without grades. The key in a first draft of any writing project is to get your ideas down. In the second draft, you will revise and rework your stories. Your second drafts--based on revisions and ideas for clarity and change--will be the first time you'll see a grade on the stories. We also did a Quick Write based around the prompt, If you could live anywhere in the world for a week, where would you live and why? You each completed a seven-second story using an object from the classroom and your imaginations. And our word of the day was exult, which means to rejoice. Tomorrow, we have our fourth Vocabulary quiz, which will involve creativity and imagination. And keep reading your independent reading books! And the exciting news about our first whole-class novel is out! We will be reading the wonderfully powerful novel by Kathryn Erskine entitled The Absolute Value of Mike. Here's the photo of our lovely books waiting to reach your hands early next week! While you all know my favorite word is perspicacious, you now know that my favorite punctuation is the semi-colon! It is beautiful; it is precious. And, in our writing, we often try to use a comma where the spot rightfully belongs the honorable semi-colon! Today, we explored what a CSRO is. And we learned that CSRO does not stand for Cosmically Studious Runaway Otters. We also learned that CSRO does not stand for Conscientious and Slimy Robot Orangutans. CSRO stands for COMMA SPLICE RUN-ON. It means, essentially, that we have tried to take two sentences which should stand alone and we've forced them to go together in a single sentence. But we can't do it. No way! We're trying to splice those complete sentences together with a comma and those sentences are yelling, "Please! No! Don't splice me together with that other sentence!" Also, we read Roald Dahl's masterful (and very creepy) short story, "Lamb to the Slaughter." We talked about inferences and how sometimes authors leave key details out so that we have to dig (and have fun digging) to figure out what has happened, and why. Our word for the day was divulge, which means to reveal or make public. Loving the Library! And Long Live the Semi-Colon! We journeyed on over to the library today where you each explored the selection of great MG and YA fiction, and Mrs. Segaloff and I shared some book ideas and recommendations with you. You each found books that look fascinating to you, and I am excited about our independent reading this year! Remember that if you get a decent way into the book and don't love it, check in with me and I will help you find another book you love. We didn't have a word of the day as we were not in our classroom, but will return tomorrow and dive into another short story (this one creepy and mysterious) to help generate some ideas and possibilities as you work on your own short stories. The first draft--the "down draft"--of your original short stories is due on Monday. And tomorrow we will also have some time to chat a little more about my absolute favorite punctuation ever: the Semi-Colon! The Semi-Colon is a brave, formidable, perspicacious and undaunted piece of punctuation who gets ignored far too often. not so tomorrow in Room 340! Long live the Semi-Colon whose presence will grace our classroom like royalty, like joy, like a slice of pure Pumpkin Cheesecake! Have a fabulous evening; I am looking forward to seeing you all tomorrow! Today, you each brought in your first page of your creative short story. You shared a favorite line from your first page, and then we explored some notes on how to write dialogue in creative fiction. For each time a different character speaks, we must use a new paragraph. We also explored how to use punctuation around quotation marks. Here's the photo of our board from class today to help you remember what we discussed. Our word of the day was formidable, which can mean both impressive and / or causing great dread or fear. For homework, the first draft of your short story will be due next Monday. Remember that this is just your first draft, so it does not need to be perfect and revised yet. This is just what novelist Anne Lamott calls the "down draft," where you have your first crack at the story. We will revise, rewrite, and rework in the second draft. Also, remember that tomorrow, we will meet in the library to select independent reading books, and to spend some time conferencing on your first page (or more) of your story. Have a fabulous evening! Yesterday and today we dove into our first big writing mission of the year: your own, creative, original short stories. I am so thrilled about this project, and I can't wait to see what each of you comes up with. Today we explored various possibilities, and I shared how ideas come to me when I try and craft stories. We also shared with each other, and then you each began to journey through some questions to get you thinking about the kind of characters, settings, and problems you want to give your characters. We accentuated the idea that our characters must face many struggles in order to build suspense and action, and to engage the reader. Think of what Harry Potter would have been like if his parents had not died, there were no bullies at school, and no grand evil forces with which to reckon! Our word of the day was Quandary, which means: to be in a state of doubt or confusion. And remember, we want out characters to be in a state of confusion or doubt at times within our stories! The homework for tonight is to write the first page of your short story. This can be typed or handwritten. And it does not have to be in final draft format! We are trying to get the engines inside our heads and hearts turning, so even if you think your idea is not (yet) a great one, just get that first page down, and I promise it's going to get stronger. Remember: all good writing is rewriting! Today, we are exploring symbolism, and how writers use symbols to convey powerful messages and meanings. In Joan Bauer's short story, we can see sharks not as sea creatures, but in the face of Madge, in the store manager, and possibly even in the police officer. These characters try to attack Beth in different ways--they are symbolically like sharks! You took your third vocabulary quiz today, in which you read a crazy story about your (normally) sane teachers, and you had to annotate the story using our five words from the week. Our quote for the day is from a novel we'll read later on in the year, Habibi, by Naomi Shihab Nye: "Let's believe together in a world where no one is either inside or outside, yes?" Our word of the day was symbolism, which means the practice of using an object or a visual to represent an idea or a character. Today, we discussed and explored Joan Bauer's short story, "The Truth about Sharks" in greater depth, and created visual and symbolic artwork that powerfully displays a line from the text that we thought was most powerful. I enjoyed hearing each of your reactions to the story, and what you each found to be the most powerful line. When Beth, the protagonist, says on page 43, "I am teenager, hear me roar," we begin to get a sense of her empowerment as a character. She will no longer swallow her own voice in the face of wrongful accusation. Our word of the day was--lo and behold!--EMPOWER, which means to give authority to, to imbue with power, or to give voice. We can empower others, but we can also empower ourselves--just as Beth does in Bauer's story. Tomorrow, we have our third vocabulary quiz. The five words on this quiz are: CHARACTERIZATION, PROTAGONIST, ANTAGONIST, OMNISCIENT, and EMPOWER. Look back at our previous posts in case you need the definitions, or have forgotten your English binder at school. For tomorrow's quiz, be ready to read a very, very, very (very) silly and goofy story that I have written for you. And your mission will be to annotate the story using our five new words. Warning: there are aliens; there is Jell-O; there is a scene involving a shield made of gold (and some hay particles) and a desperate, earth-shattering roar. On that note, have an awesome evening. All Powerful! All Knowing! All--Wait...Wait...Really? Some authors use 1st person point of view, whereby a character in the story is the narrator, and the "I" voice is how we see all other characters and events. A great example of 1st person POV is that lovely first line from S.E. Hinton's The Outsiders: "When I left the movie house that night, I had only two things on my mind: Paul Newman, and a ride home." Some authors (though rarely) use 2nd person point of view, whereby the "you" voice is is how we see all the events and characters within the story. A great example of this is Jay McInerney's famous novel Bright Lights, Big City (which was made into a film starring Michael J. Fox). The entire novel is told in the "you" voice, so the narrator is always describing action, thoughts, and emotions by saying things like, "Your heartbreak is just another version of the same old story." Other authors use 3rd person limited point of view, whereby we learn about events and emotions through the eyes of one or 2 characters within the story. The writing voice, here, uses "she / he / they." However, the narrator doe snot know what EVERY CHARACTER in the story thinks or feels--only one or two characters. An example would be Margie from our short story, "The Fun They Had." Asimov writes, "Margie was thinking about how the kids must have loved it in the old days." Finally, we have 3rd person omniscient point of view, where the narrator of the story KNOWS EVERYONE'S EMOTIONS, THOUGHTS, AND VIEWS. The narrator here can take turns telling the story from different perspectives, in order to access every character's vision. It is still told in the "she / he / they" voice, but the narrator can use ANY "she / he / they" within the story, not just one or two! After exploring POV and sharing some funny examples, we dove into a new short story by Joan Bauer entitled, "The Truth about Sharks." 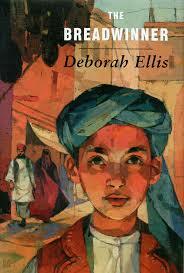 We read and annotated and tomorrow will do an activity with the story. Our word of the day was omniscient, which means ALL KNOWING! Our quote of the day was from Dr. Seuss: "I like nonsense; it wakes up the brain cells. Fantasy is a necessary ingredient in living." Our homework for tonight is to finish reading and annotating the short story, "The Truth about Sharks" by Joan Bauer. Today, we dove into the idea of a Quick Write, whereby you allow your brain to follow tangents in writing. Much of what happens in the English classroom is about staying organized, staying on topic, and sustaining and argument. And this is good. But there are other kinds of writing! And sometimes, those kinds of writing muscles need a workout too. We stretch our minds when we allow them to follow tangents, and see where we end up. The Pulitzer-Prize finalist Charles Baxter says that when he writes, he follows tangents to see if there is anything worthwhile at the end of them. Author Anne Lamott says that, sometimes, we find beautiful gems when we allow our minds to wander. In Room 340 this year, we will sometimes do Quick Writes as a way of allowing our minds to wander, with our only goal being that we do not lift our pens off the page and even if we're not sure what we should write next, we can write, "I wonder what I should write next" until the idea arrives! Let your mind wander; let your heart wonder. After our Quick Write, we worked in pairs reading a short story by Isaac Asimov entitled, "The Fun They Had." Then we came back together as a full group and talked about what school will be like in the future, and how we think about school right now. Our word for the day was antagonist, which describes a character or a group that opposes the protagonist, or attempts to get the protagonist to fail. Our quote of the day was from Albert Einstein: "Imagination is more important than knowledge." Have an awesome evening--and thanks for sharing your ideas of protagonists you admire yesterday! Helllooooooo Class! Today is a blast thus far. We are considering what it means to be a hero, and how we view heroism. What kinds of qualities contribute towards us as individuals or as a society admiring someone? How do we connect with characters within stories and movies? Why do we often admire protagonists (our word of the day!) from our favorite books, films, or our own lives and aspire to be like them? What do we value in others? Now, after our writing, discussion, and hearing about my heroes, who is someone you admire? Think of one protagonist you admire from a book, film, or your own life and share who that character is, and why you admire them. What is it about this protagonist that make you admire her or him? Today in class, we explored the word characterization (our word of the day, which is the way in which we describe characters--both physical and emotional / relational). We discussed Victor from Gary Soto's story, "Seventh Grade" and also a powerful scene from the film Rudy. In groups, you created ideas for how me might characterize Victor, the janitor, and Rudy, and in what ways each shows us his personality and convictions. You also took your second vocabulary quiz today and shared some insights into your own personality and convictions. Our quote for the day was from Mahatma Gandhi, "Be the change you wish to see in the world." I really enjoyed our class today! 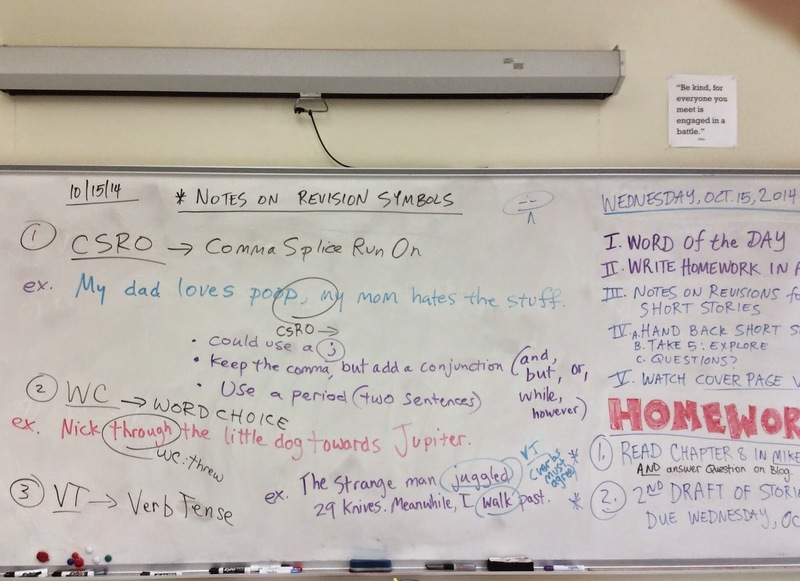 We read Gary Soto's fabulous short story, "Seventh Grade" and practiced annotating the story as we read--making circles, stars, questions, comments, connections ALL OVER the story so that it looked like a beautiful work of art by the end. Today's word of the day was undaunted, which means fearless, or having the ability to press on even the face of fear. Tomorrow is our second vocabulary quiz, during which you will have to creatively work with our past five words. Come ready to think outside the box! We've had a great two days, class, exploring story sequencing. We've looked at the five parts of a story and how it progresses: Exposition, Rising Action, Climax (Turning Point! ), Falling Action, Denouement (Resolution). We explored my story of the London Marathon and how the gentleman with a canoe passed my brother and I (a canoe!). We then tried to piece back together in the right sequence Larry Fondation's powerful short story, "Deportation at Breakfast." In your groups, you tried to order the cut-story-pieces into a sequence that matched our five story points. Many came very, very close! Much of Fondation's story is below the surface, and we explored the climax in the restaurant and tried to figure out why it happened based on the evidence in the story. Our word of the day for today, was pensive, which means dreamily thoughtful. Our word of the day for yesterday was analogy, which means a connection / comparison between two normally dissimilar things. Our quote of the day today was, "It's not that I'm smarter than everybody else; I just stay with problems longer," from Albert Einstein. Our quote of the day from yesterday was, "Comparison is the thief of joy." For tonight, your homework is to make a story chart of a true story from YOUR own life. You can draw the chart (upside down check!) and then add a few phrases for each of the five parts of the chart that relate to your own life. And we've got an awesome short story in store for us tomorrow! Peace! Why Does an Author Write a Novel? Today, we explored ideas around the essential question, Why does an author write a novel? We read a great interview with S.E. Hinton, in which she says that the success of The Outsiders, "inspired me so greatly that I was unable to write for four years...I love to write, but for four years, I could not" (32). This blows our minds as readers! Success and fame and money, as we discussed, are not internal reasons that propel authors to create novels, and sometimes the reception of those things can actually hinder the creative process. As you each shared your own creative ideas for novels, we also explored other reasons for why authors write: to share a message, to process emotion, to look at something from another point of view, because it brings joy, to inspire, to entertain readers, and to face challenges. Our word of the day was alliteration, which is the repetition of similar sounds in words close together. Our quote for the day was, "Who knows? Maybe the root is the flower in that other world," from poet Mary Oliver. The homework for tonight is to finish reading the interview with S.E. Hinton and annotate it as you read! Today, you each took our first vocabulary quiz, which asked you to creatively write using the five words we have explored so far in our year. Remember that powerful writing is writing that evokes emotion--and make us think or feel something new or different. I am excited to read through your stories to find out how you took the prompt for our quiz today. We also watched the opening scene from the film, The Outsiders, and discussed similarities and differences between the book and the movie. Our word of the day was annotate, which means--simply--to mark up text with your notes and ideas! Our quote for the day was, "I know it ain't been easy, but you found where you supposed to be. You're home," from the novel Elijah of Buxton, by Christopher Paul Curtis. What an awesome day! I really loved watching you bring a couple of scenes from The Outsiders to life. Many of you played the parts of Ponyboy, Johnny, Cherry, Sodapop and other characters from the book, and did a great job using bold voices and actions to portray the scenes. You also read a short non-fiction piece about Ralph Macchio's role in the film, and how a group of high schoolers from Fresno, California actually petitioned director Francis Ford Coppola to make the movie--and he did! Our word of the day was vacillate, which means to hesitate between two choices. Our quote of the day was, "I learn by going where I have to go," from poet Theodore Roethke. Tomorrow, we have a vocabulary quiz on our first five words. See the other blog posts to refresh your memory, and use your Vocab sections in your binders. It will be a creative quiz, so come ready to think creatively! 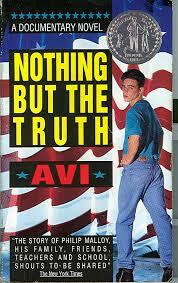 We dove into The Outsiders today, which you all read over the summer. You each shared the artwork that you created to describe one of the character's emotions during the novel. 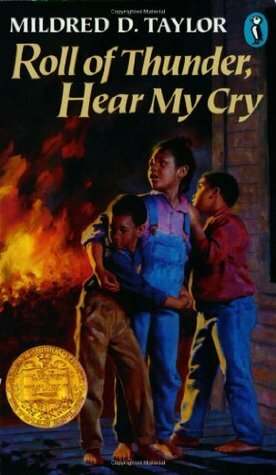 I saw such powerful drawings, paintings, collages, sculptures, photographs, and other forms of art to explore characters like Johnnycake, Ponyboy, Darrel, Dallas, Cherry, and Sodapop. You also discerned, from your five key lines about the novel, the one line you felt best described the theme of the book. You were able to share your lines, as well as agree and disagree with the lines of others, using evidence from the novel. Our word for the day was voracious, which means having a huge appetite or being very eager. Our quote of the day was, "Stay gold," which Johnny says to Ponboy in The Outsiders. Your homework for tonight is to dive into the three questions about Robert Frost's poem, "Nothing Gold Can Stay." Here is a link to the assignment in case you need another copy: Poem Homework (Frost). Think about the big questions of how we can hold onto hope. Is it possible to remain "gold" as Johnny advises? Even amidst pain, heartache, and tragedy, can love survive? Thanks for a great day today. I had a blast with you all today. We talked about how important it is to say what you think in a clear way and to back it up with evidence and support. You each worked with a partner and read every other paragraph of our syllabus aloud. Then, you explored the syllabus to find what you thought was the most important part. Together, you located three lines--three pieces of evidence--that supported why you thought that was the most important part. You each shared your decision and one piece of evidence with the class. Many groups chose very different parts of the syllabus. However, each group found great evidence to support why their area was the most important. This is a key component of English class. As we read a variety of awesome novels, poems, and short stories this year, I want you to be able to clearly state what you think is going on, and to support your ideas with evidence. Then you each had a chance to pretend to be S.E. Hinton and respond to a question from your partner about her powerful novel The Outsiders. I heard great questions like, "Why did you choose to not show what happened to Johnny's parents after he died? Did they have a funeral for him? Did they ever change?" and also, "How much of the novel was based on your own life experiences." And I heard fabulous responses. Our word of the day was accentuate, which means to emphasize. Our quote of the day was, "I saw the angel in the marble and carved him out until I set him free," from the artist Michelangelo. Here is a link to our syllabus in case you need to print out another copy, or want an electronic version: English 7 Syllabus (Bromfield).